Vandex Super is an in-depth crystalline active waterproofing slurry specifically formulated for waterproofing concrete. The active components of Vandex Super penetrate into concrete and form insoluble crystalline complexes. These crystals block the capillaries and minor shrinkage cracks in the concrete - preventing further water ingress. It should be noted that Vandex Super is only suitable for use on concrete. 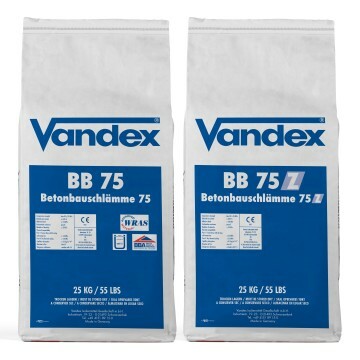 Other Vandex products including Vandex BB75 and Vandex Unimortar 1 provide waterproofing solutions for other substrates. 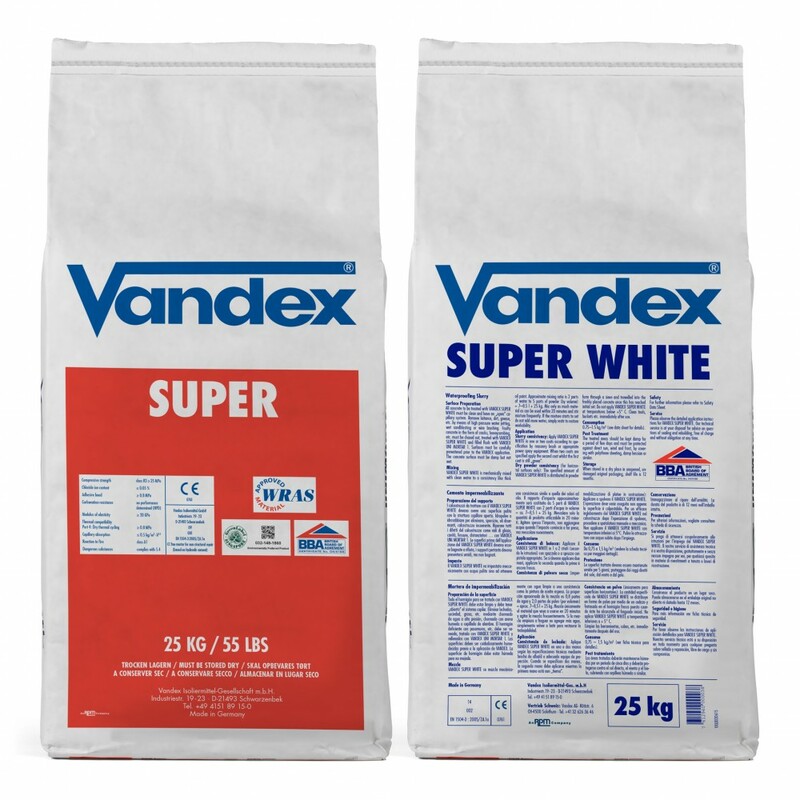 Vandex Super White is a version of Vandex Super that uses white cement as the binding agent. Vandex Super White is often specified where a lighter finish is an advantage - for example, when waterproofing car parks or drinking water reservoirs. All technical information for Vandex Super also applies to Vandex Super White except for colour and setting time. 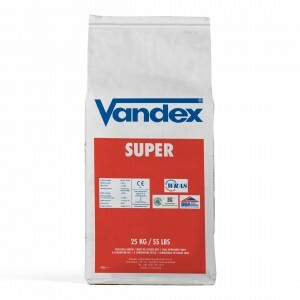 In most cases Vandex Super is mixed with water and applied to concrete by brush or spray. However, when waterproofing concrete slabs a "dry sprinkle" method can be used in which Vandex Super is applied to the partly-cured slab in powder form and trowelled in. Application guidelines are available for both application methods.